Have you been to the new Art of the America’s Wing yet at the Museum of Fine Arts in Boston? From the outside, the new wing doesn’t look like much. Looking up from the street, you can see a statue perched in the corner of each floor, enticing you to go inside and see more. Once inside, there are endless ways to discover and approach the exhibits. My son Sandro spent a long time in front of two works by John Singleton Copley. First, we admired Copley’s portrait of Paul Revere, surrounded by examples of his master silversmithing. His class was about to visit the Paul Revere house a few days later, so Sandro was particularly interested in seeing what the great Bostonian and patriot looked like. 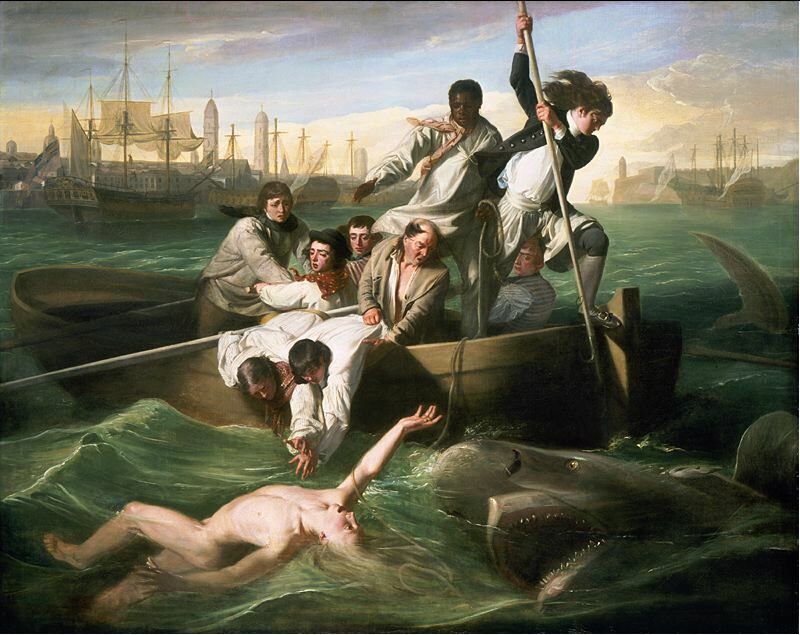 Crowds swirled around us for several minutes as we sat on the comfy bench in front of Copley’s gory and ominous “Watson and the Shark”, one of the original precursors to the movie Jaws and reality TV. Random, marvelous thing about the new wing: each of the 5,000+ exhibits features a well written description and label. You not only learn (or confirm) the artist and date of the work, you also walk away with something new that you may not have known about the piece and its historical context. I wish every museum had the resources to do this.